Three interesting options for someone looking for a laptop small and light enough to carry around and big enough to be your daily driver: the Acer Aspire TimelineX 3830T-2412G64nbb, Sony Vaio S VPCSB26FG and 13-inch MacBook Air 128GB. Processor. All three laptops are state of the art Intel Sandy Bridge laptops, all powered by Core i5 processors. The Acer and Sony have faster Intel Core i5-2410M processor running at 2.30GHz with Turbo Boost up to 2.90GHz, while the Apple has a slower but cooler running Intel Core i5-2557M processor running at 1.70GHz with Turbo Boost up to 2.70GHz In terms of pure speed, the Acer and Sony units are faster. If you don't need all this power, there are cheaper options powered by lower power Intel Core i3 processors. Price. These three laptops are at different price points, such that the selling price would be the deciding factor for many buyers. The Acer is priced at Php37,900, which is much lower than the Php54,999 price for the Sony and the Php65,990 price for the Apple. Weight. Laptops are meant to be carried around, so the weight does matter. The Acer is the "heavyweight" of the three weighing in at a light 4.1 pounds (that is half a pound less than a MacBook Pro). The Apple is the lightest at 3-pounds. The Sony weighs in a 3.8 pounds although it has a lot more kit than the other two, but more on that latter. Endurance. Battery life is important in a portable. Among the three the Apple has the largest battery at 6800 mAh which can deliver on the promised 7 hour battery life. The Acer has a smaller 6000 mAh battery. The Sony comes with a disappointing 4400 mAh battery, which will be hard pressed to deliver on its 6 hour battery life. Four hours in real world use is more likely. Operating system. The Acer and Sony are Windows machines. The Acer runs Windows 7 Home Basic while the Sony comes with Windows 7 Home Premium. The Apple of course runs Mac OSX, in this case the newest 10.7 Lion. Display. All three laptops have 13.3-inch screens, the Acer and Sony have 1366 x 766 displays, while the Apple comes with a higher resolution a wonderful 1440 x 900 display. The only issue about the Apple's screen is that Mac OSX seems to be optimized for 1280 x 800 resolution screens at 13-inches so some menu's and buttons on even pre-installed Apple software (like Safari) seem a bit too small. Still, overall the Apple has the best display. Storage. The Acer has a 640GB hard drive. The Sony comes with a 500GB hard drive. The Apple has a smaller capacity 128GB drive, but this is a faster more power efficient SSD drive. If I could chose to configure a system with one of these drives, I would select the 128GB SSD. 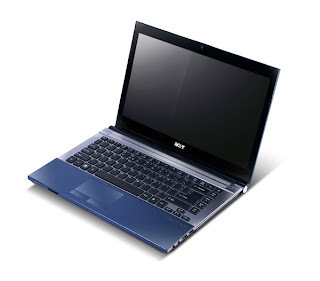 For many the 640GB drive on the Acer is the better choice as it offers far more storage. Graphics. All three laptops come with Intel HD 3000 graphics. 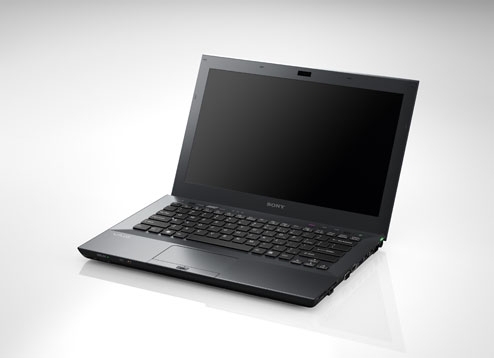 The difference is the Sony has a discrete graphics option, the AMD Radeon HD 6470M. When more power is needed, the Sony can deliver more graphics punch at the flick of a switch. Connectivity and ports. All this laptops have WiFi, Bluetooth and the usual ports you find in a laptop. 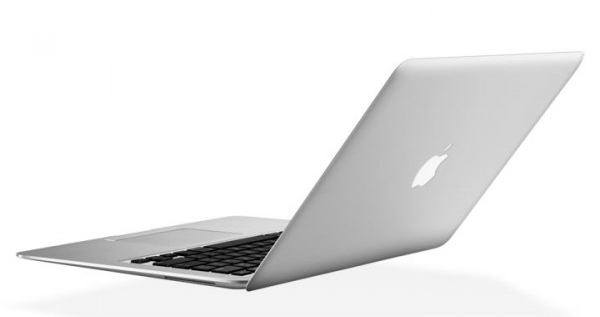 For high speed data transfer the Acer and Sony come with USB 3.0, while the Apple comes with as Thunderbolt port. While Thundrebolt is faster, you wont be able to take advantage of it for lack of accessories. USB 3.0 accessories are getting pretty common these days. The Acer and Sony have HDMI out ports. The Apple needs an adapter to connect to a HDMI device. Optical Media. While I am not big on optical drives on laptops, since I have found no need for one in three years, the Sony has a DVD-RW drive while the Acer and Apple do not have optical drives. Still, a OD is still useful to many people. Others. The Apple and Sony have back-lit keyboards, and the Sony also has a finger print reader. Conclusion. In the end there is no winner. Each has its own merits. The Acer is 17K less than the Sony and 28K less than an Apple. In terms of productivity, there really is nothing you can do with the Apple that you can't do with the Acer, and these is little you can do with the Sony that you can't do with the Acer. In terms of money for functionality, the Acer is king. As a pure portable, the Apple is the smallest and lightest with the longest battery life, at the highest price. The Sony is the most powerful and best equipped of the three at a price point in the middle.